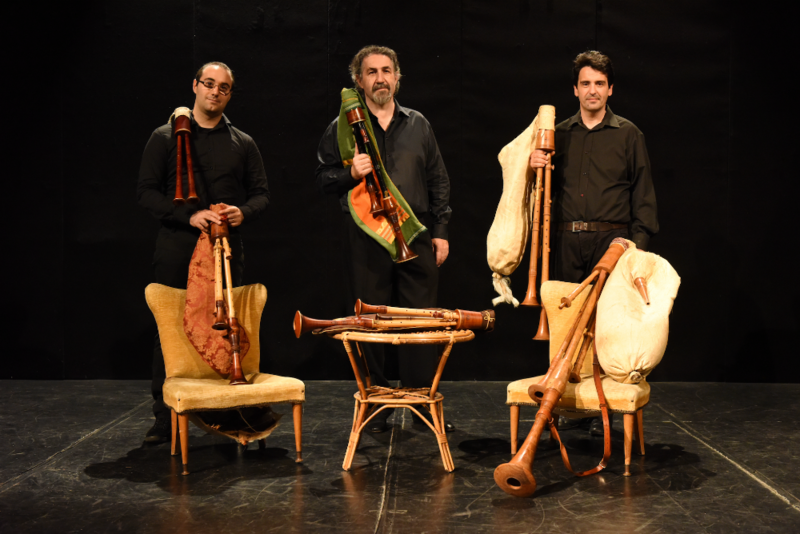 Fundraiser by International Bagpipe Organisation : Help Int. Bagpipe Conference 2018! Help Int. Bagpipe Conference 2018! Help Support the International Bagpipe Conference! Since 2012 the International Bagpipe Organisation (IBO) has presented its biennial International Bagpipe Conference (2012 and 2014 in London, 2016 in Glasgow) to promote the diverse world of bagpipes. The flagship event of International Bagpipe Day that we helped launch in 2012, the conferences bring together scholars, players, instrument makers, historians, and teachers from all over the world to perform, show their wares, and present research, with the intention of documenting and supporting the worldwide revival of bagpiping traditions. The conferences aspire to be the only gathering of their kind with a truly global reach but the costs for such an endeavour are considerable. In previous years we enjoyed the support of many different organisations and institutions and we are very glad that we have their support for our next conference. This year our conference is hosted in Mallorca with the support of the Mallorcan governement and the town halls of Palma and Sóller. However, while their support is crucial and extensive, various factors, including an affordable ticket price to assure attendance by as many people as possible, mean that we are facing a budget shortfall of about €8,000 Euros /$10,000US. We need your help to make this Fourth International Bagpipe Conference a resounding financial as well as artistic and cultural success, one that can continue into the future, moving on to other regions. The IBC 2018 takes place on March 9-10-11, so we need your help now! Your contributions to this gofundme will go to pay the expenses incurred by the IBO for the conference including performance fees and travel for international performers and travel stipends for presenting scholars, some of whom may not be able to otherwise attend and video coverage. In no case will the budget be used for staff salaries (we all donate our time), or entertainment, food, booze, etc. - Fund several necessary administrative fees such as website maintenance and keeping our domain name. - Up to £30: Your name on our programme and on our website + a high resolution digital copy of IBC 2018’s poster. - £30: Your name on our programme and on our website + an IBC 2018 poster along with this year’s printed programme. - £50: Your name on our programme and on our website + an IBC 2018 poster signed by the international musicians along with this year’s printed programme. - £90: Your name on our programme and on our website + an IBC 2018 poster signed by the international musicians along with this year’s printed programme + a digital copy of the conference proceedings, due to be published for International Bagpipe Day 2019. - £150: Your name on our programme and on our website + an IBC 2018 poster signed by the international musicians along with this year’s printed programme + a hard copy of the conference proceedings, due to be published for International Bagpipe Day 2019. - £300: All of the above + a bagpipe tune composed in your name (both handwritten and computer generated, sent on thick paper). Choose your preferred key and range. - £400: All of the above + a bagpipe tune composed in your name, printed on thick paper, performed and uploaded on Youtube and our website (should you want this to be the case). Choose your preferred key and range. - £500: All of the above + a bagpipe tune composed in your name, printed on thick paper, performed and uploaded on Youtube and our website (should you want this to be the case). Choose your preferred key and range. Choose your bagpipe of choice and your preference out of a list of artists you would like the tune to be played by. 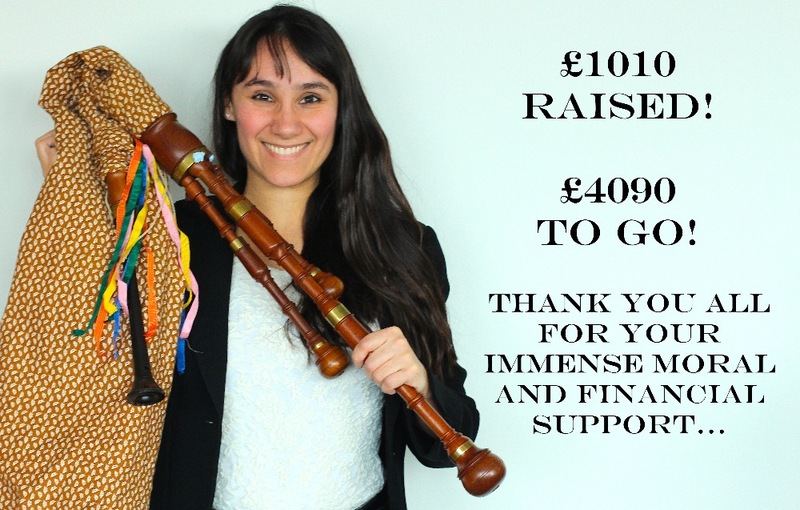 We have reached our first £1000 of the campaign! Thank you to all of you who helped us reach this milestone. This means that we now have enough to pay the musicians' travel costs to the concert. We have managed to restrict our budget to the very minimum and only have an extra £5000 to raise. If you know anyone sympathetic to the bagpipe cause, do not hesitate to share this campaign with them. Word of mouth is the most powerful tool! Thank you all for your immense financial and moral support. We've reached our first milestone!